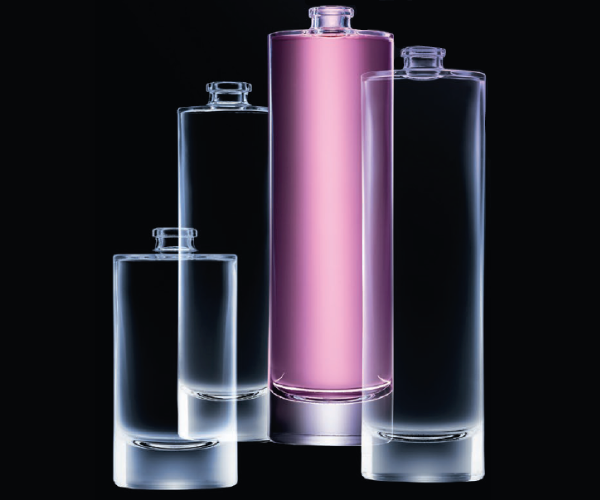 Founded in 1897, SAVERGLASS is the specialist manufacturer of high-end glass bottles. The modernisation of the historic site of Feuquières (60) makes it possible to better meet the growing demand of customers. 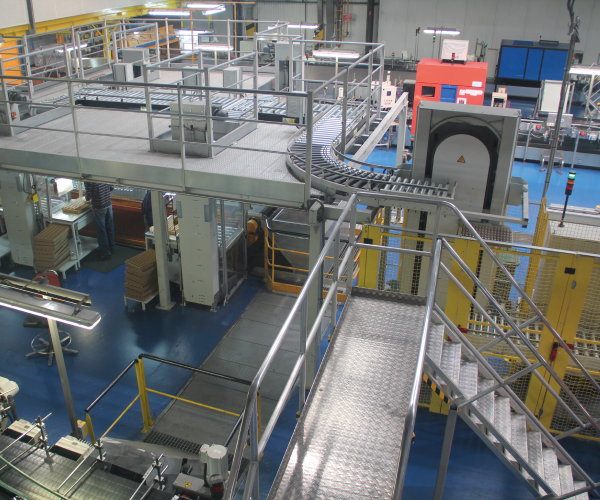 In order to improve the working conditions of the operators and increase productivity, SAVERGLASS wants to automate the transfer of boxes from control and packaging stations to the palletising area, the closure and automatic labelling of cartons. The constraints are: the solution must be reliable because installed in a relatively hot and challenging environment, and working 24/7, 365 days/year. In addition, the customer has little space and has important traffic requirements in the area where the system is installed. Finally, the solution must be installed without hindering or stopping production. 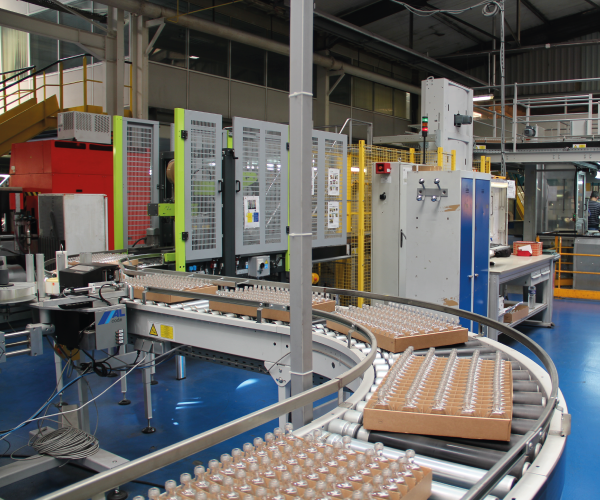 At the exit of the production line, the glass vials are inspected by experts who package them in cartons which are then evacuated by vertical conveyors. Cartons continue to be transported up and over the arch exit belt, freeing up floor space. A last vertical conveyor moves the cartons down to an automatic scotch machine. The cartons are then labelled before joining their palletising area. 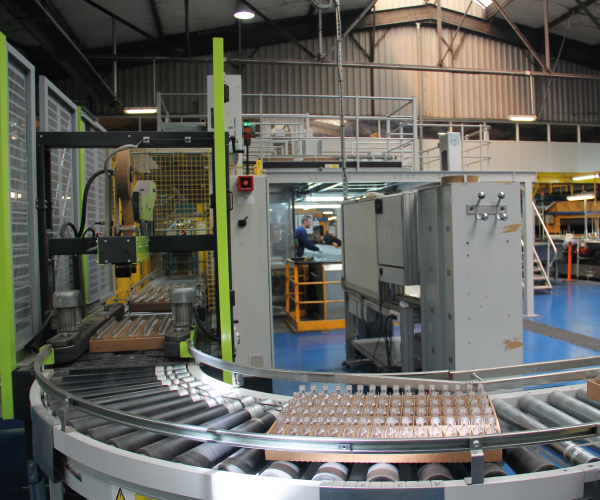 TRANSITIC teams were flexible and responsive to minimise disruption to the production line.